A Pretty Dress for Elethea! 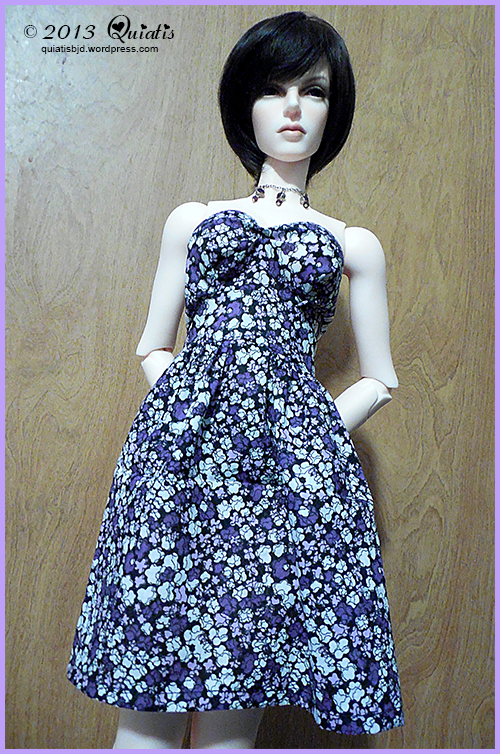 Last weekend I sat down and made a pretty dress for Ellie. I say it’s not finished because I would like to add some sleeves but I’m not sure. I do like it the way it is, so maybe I’ll keep it like this. Hopefully I can make more outfits for her next weekend. I’m so excited about her! I just want to make a bunch of outfits for her. I just don’t know where to start. I’ll probably end up making a list here or a challenge for myself. ^_^ Whatever I decided I’ll keep you all posted. Hope to see you guys next time!